1 – Replacing expensive textbooks: All of us who have been classroom teachers know that printed textbooks have become outrageously expensive and in technology and the sciences they are outdated before they even go to print. Yet having a handy source of general information on a subject that is grade-level appropriate and tied to national standards and comes complete with problem sets and review questions, test banks, on-line resources, and all the other associated items is a very valuable resource for teachers. If all of this can be ported to an e-book format and read on the iPad (with added interactive and multimedia touches) then the purchase of an iPad for each student becomes truly economically feasible for schools, especially when you factor in that it also replaces most needs for student computers and graphing calculators and merges all these technologies into one device. 3 – Virtual Science Labs: With the accelerometer and gestural controls of the iPad, science teachers and curriculum developers can program virtual labs that mimic a student actually picking up and weighing reagents for a chemical reaction, calculating the atomic weights and stoichiometric ratios, observing and analyzing the results (say of a virtual pH titration), and comparing student answers with accepted answers. Although this can’t take the place of hands-on science labs, it could certainly help to prepare the students for the real experience and help remediate students who miss the day of the lab, and reduce costs and disposal concerns. Virtual labs could also be created for Earth science (a virtual mineral field test kit), meteorology (viewing cloud cover, barometric, temperature, relative humidity, and other data and then predicting the weather), physics (lots of possibilities here), and so on. 4 – Student Collaboration: This is my big area right now – getting students to collaborate with each other to discover knowledge and synthesize it by creating their own content for the use of other students, such as this Elements Unearthed project to develop student-created podcasts of history and usage of the chemical elements. Imagine a group of students taking iPads on a field trip to a local watershed to record measurements of the water and soil, plant and animal life, pollutants, etc. and recording all of this data tagged with GPS data, then uploading it to the Internet and making it available to students worldwide. 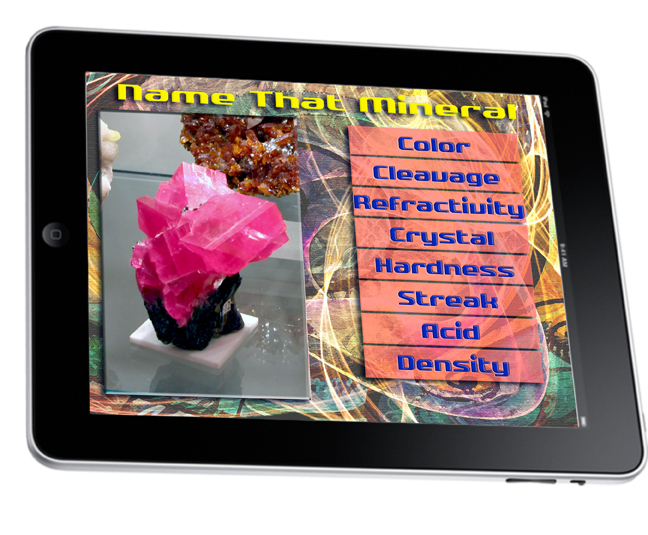 The iPad therefore becomes a remarkable enabling tool for citizen science. Imagine these same students using a wiki page to collaborate on writing up their results, or Google docs, or even sharing an iPad as a group to write up their findings in Pages and as a Keynote presentation, with supporting spreadsheets from Numbers. I have seen some amazing things done in classrooms through my work with NASA and my frequent attendance at science and technology teacher conferences using technologies that are far less capable than the iPad (including PDAs, GPS devices, etc.). Given teacher creativity, the appropriate types of applications, and an enabling technology like the iPad, and the educational possibilities are endless. 5 – iPads as Game Platforms: Games in education? This scares a lot of teachers, but it doesn’t have to. Just talk to the educational people at Apple, Micrsoft, and Sun Microsystems (to name a few) – and I have talked to them – and you’ll be amazed at what’s coming and how it can engage students in education through doing something that’s intrinsically fun. Education doesn’t have to be boring – in fact, it’s much more effective if it is fun. Now we just need to have the imagination to create the educational games and content. 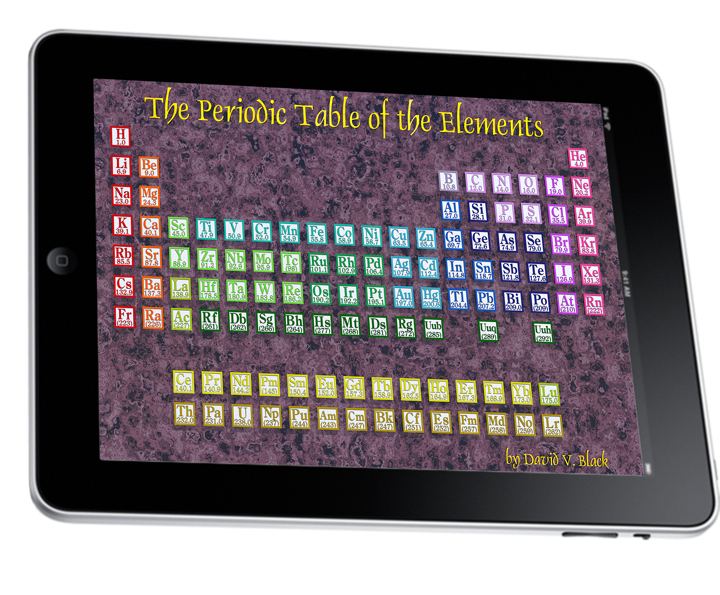 I have a few ideas, and I’m trying to talk to some software developers about some apps that would be ideal for the iPad and would help teachers to teach and review concepts in chemistry, physics, and other sciences. My media design students were assigned, as part of their learning of Adobe Director and Lingo programming, to design, create, build, and program a game on such topics as Mars exploration or the history of AM radio. They were simple yet powerful (and fun) games that could easily be ported to the iPad and used by other students. Imagine if we have students create iPad apps for other students . . . now that would be powerful learning, for both the creators and users. Meanwhile, the podcast episodes are still coming – I have prepared the full 45-minute version of Dr. Scerri’s interview on the history of the periodic table, which is now ready to export, and will begin editing it according to the scripts I’ve worked out into two 15-minute videos with some great images and animations to go with them (all ready to go). The three episodes on Greek matter theories and two on beryllium mining/refining are also coming but will take more time. I need to have at least 5-6 episodes complete and available by the time I present at the National Science Teachers Association conference in Philadelphia in March.